Exciting Swimmo Status Update – Join Swimmo Family Today! Today we want to share something a little bit different and focus on Swimmo’s journey and successes as we prepare for the holiday season. We want to celebrate with all of you our achievements and give you a tease of what’s coming. We are about to open a second shipping center in one of our biggest markets – United States. We hope that it will facilitate faster and easier shipping process for all of our customers! We’ve also created even more rigorous quality control process for Swimmo bringing the number of faulty units to less than 1%! Speaking of Swimmo owners, we are a very international group with customers in more than 101 countries all around the world. Swimmo is used everywhere from the UK to Belize, from the United States to Martinique! This is a huge undertaking for a young company like Swimmo, but we are proud to help swimmers from every corner of the Earth. 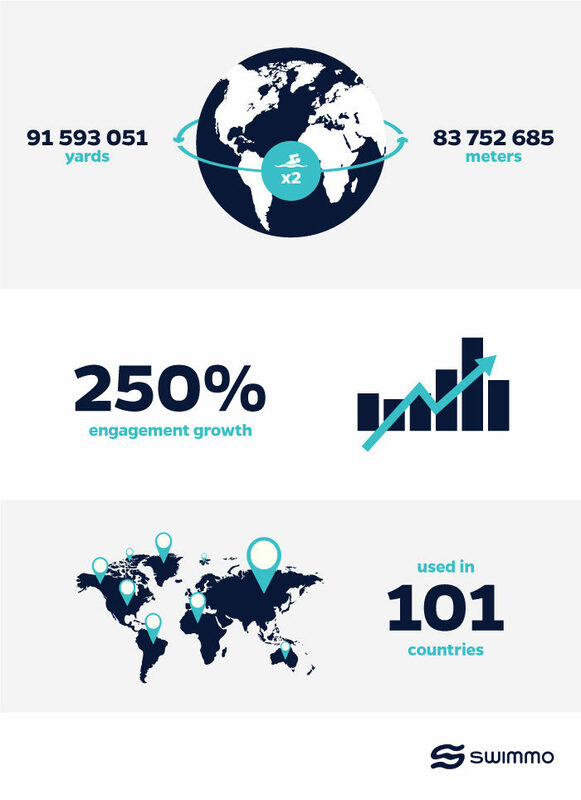 This global community helps us improve our product but more importantly uses Swimmo every day to become a better swimmer or stay healthy and fit! We’ve decided to show you some interesting and fun numbers proving that Swimmo is really useful to swimmers as they use it more and more every day and the numbers blew us away! 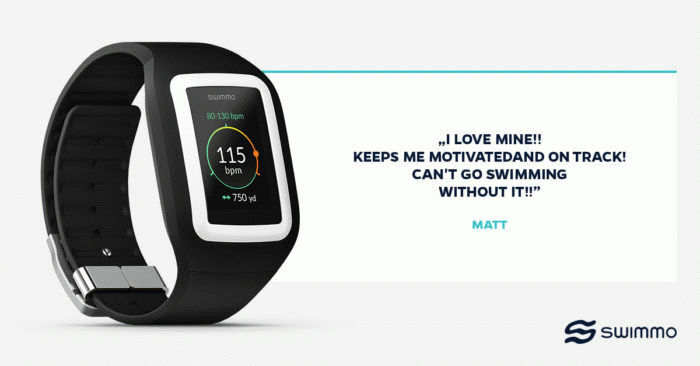 Swimmo users are amazing! We’ve already swum over 91 593 051 yards / 83 752 685 meters. That means you have swum more than twice around the world! Isn’t that just incredible?! You also use your Swimmo more and more each day as you see how useful and easy to use Swimmo is! And it’s not just a little bit – Your average engagement with Swimmo has increased 250% year to year and it’s still growing every day! All this shows beyond any doubt that our vision and mission to help all swimmers achieve their goals and be effective in the pool is becoming a reality. To do that even better we’ve also worked hard on our manufacturing speed. After the difficult beginnings when we were not able to make watches fast enough to satisfy the demand in September our manufacturing capacity has caught up with our orders. This should shorten waiting time to reasonable 4 weeks and less than 7 days in selected locations, so if you didn’t order before, now is the perfect time to do that! We’ve also been extremely happy with all the other opinions about Swimmo that you have posted all over the internet and in messages sent directly to us! Whether you own Swimmo already or plan to get one soon, we have prepared a lot of surprises for you for the coming weeks and months as we believe that all our innovation and experience should benefit every Swimmo user. That’s why our software updates with improvements and new features are free to download for new and existing Swimmo owners. We plan for other releases in this quarter, including new languages and improved algorithms. 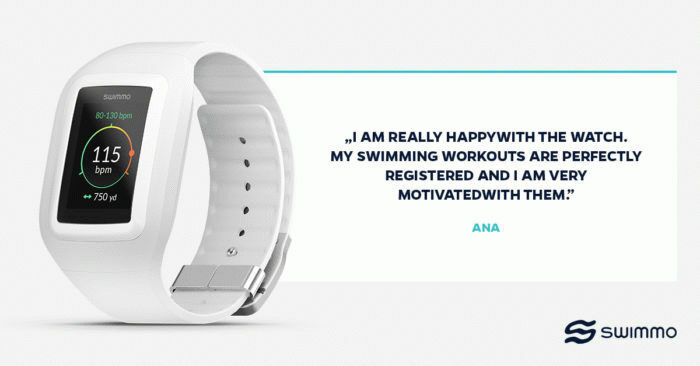 So, join Swimmo Family and start achieving your swimming and fitness goals faster with our easy to use swim watch and modern mobile app that will help you understand your progress and cherish every victory and new personal records! 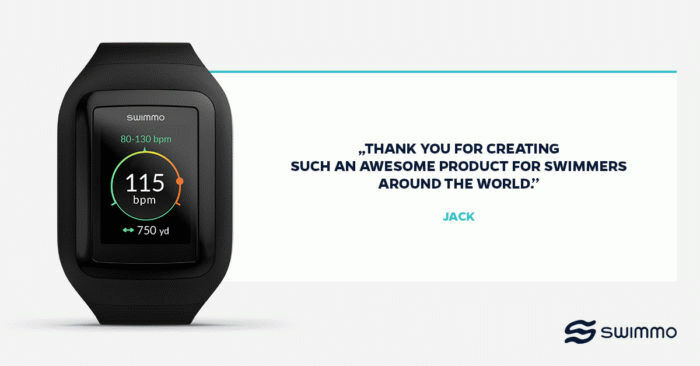 We are building our company for a long-term trying to avoid all the mistakes of other wearables companies that were brought down by problems ranging from manufacturing, mismanagement to pricing policy. That’s why we want to ask you all to share the news about Swimmo swim watch with your friends and swimming buddies as new users are the fuel for further development and improvement of Swimmo!